BEVERLY, MASS. 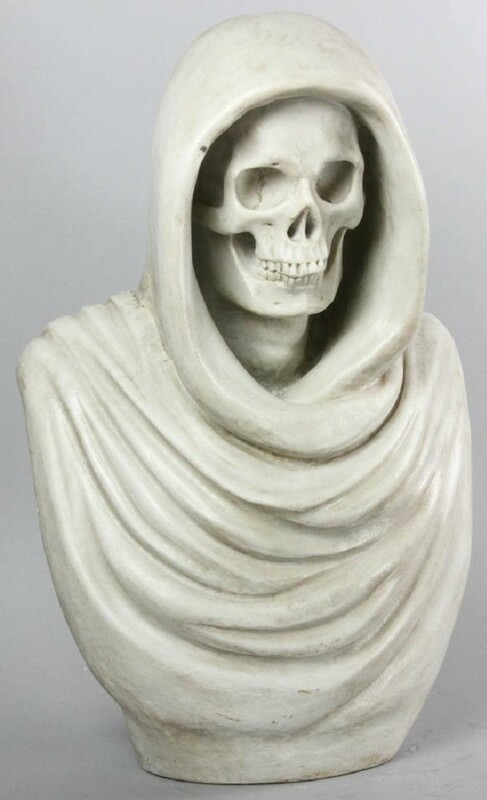 — On the second day of a two-day auction conducted on July 14 and 15 at Kaminski Auctions, a Nineteenth Century (or earlier) marble shrouded skull came to the block with an estimate of $3/5,000. Opening at $1,500, multiple bidders jumped into the fray to bid for the 22½ inch tall unsigned sculpture from a Rome, Italy, estate. The frenzy finally ended when the sculpture sold at $34,800, including the buyer’s premium. A full review of the estates auction will appear in a future issue. For more information, 978-927-2223 or www.kaminskiauctions.com.